Marijuana is legal for medical and recreational use in some U.S. states. However, testing positive for it when an employer drug tests you can be an issue, whether you are a job applicant or an employee. To become a legal medical marijuana user, you need a recommendation or prescription from a doctor who is legally appointed by the state to prescribe medical marijuana. In nine of those states (Alaska, California, Colorado, Maine, Massachusetts, Nevada, Oregon, Vermont, and Washington) including the District of Columbia, cannabis can also be used recreationally. These evolving laws regarding marijuana use create challenges for lawmakers and employers who test applicants and employees for drug use. Under federal law, cannabis use is illegal, and employers in industries that are heavily regulated by the federal government screen their employees randomly and include drug testing as part of their hiring process. For non-federally regulated employers, federal law doesn't require drug testing. However, there are state and local governments that enforce laws regulating drug testing. Employers have the legal right to maintain a drug- and alcohol-free work environment, and are allowed to test applicants and employees as long as the employer clearly informs those applicants and employees of the company’s drug testing policies, including pre-employment screening and random drug testing. In some cases, an offer of employment may be conditional pending the results of a drug test. These policies may be stated in the job description, but most often will be stated in a clearly written agreement within the application or employee handbook, which applicants and employees are required to agree to and sign in order to be hired or maintain employment. Some employers have a company policy that directly addresses marijuana use, while others do not. Drug screening for marijuana has become a debated topic in states where medical and/or recreational use is legal. The biggest difference between alcohol and cannabis is how they are detected through testing. Alcohol does not linger in the bloodstream like marijuana does. Someone can fail a marijuana drug test weeks after using marijuana because the active ingredient, THC, takes a long time to leave the bloodstream. A positive test does not mean the person is impaired at that moment. Instead, it just shows that they used marijuana within the last few weeks or so. On the other hand, there are on-the-spot tests like the breathalyzer to determine the alcohol level and subsequent impairment of an individual at that moment. This enables lawmakers to create laws regarding the consequences of having more than the legal limit of alcohol in your system. The technology to test marijuana levels with such accuracy has yet to be created. Without the ability to do accurate on-the-spot testing, it is challenging to determine what a legal level (the lowest level that does not cause impairment) of THC would be. Therefore, any trace can be considered exceeding the legal limit. When someone holding a medical marijuana card is fired from his or her job because of a positive drug test, he or she could be considered a victim of workplace discrimination. Without the ability to test for actual levels of THC at the specific time the test is being performed, a person who tests positive for THC may not be actively high. Laws to reduce this type of workplace discrimination are being created to protect those using medical marijuana under the state’s medical marijuana program. Some employers are required to test employees under federal law or highly regulated safety laws for jobs like truck drivers or pilots where there is a legitimate basis for firing an employee who fails a random drug test. If an employer does not have to adhere to federal laws or safety regulations, the employer must carefully determine and provide reasons for firing a medical marijuana user who fails a drug test. 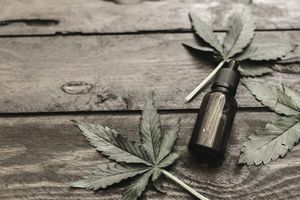 Some states like Nevada and New York consider those who use cannabis for medical reasons as being legally disabled and have created laws taking this type of disability into consideration. These laws require employers to ”reasonably accommodate” the medical needs of an employee who is a certified patient holding a legal medical marijuana card. In states where medical marijuana users are considered disabled, medical marijuana users cannot be legally fired because of a positive drug test. However, this only applies if the marijuana use does not keep the employee from doing his or her job, and does not affect the safety of the employee, other employees, the public, or anyone else in the workplace. If you are a medical marijuana card holder or someone who enjoys legalized recreational marijuana, research your state, your employer’s, or your future employer’s drug testing policy. You shouldn't assume that, because you are exercising your legal right to use cannabis outside of the workplace, you are immune to the repercussions your employer may impose on you as the result of a drug test that comes back positive for THC. How Will Bankruptcy Affect Your Job?